I've been unable to launch the game due to easy anti-cheat. I'd like to make it very clear that I've not made a single attempt to tamper with any of the files whatsoever. 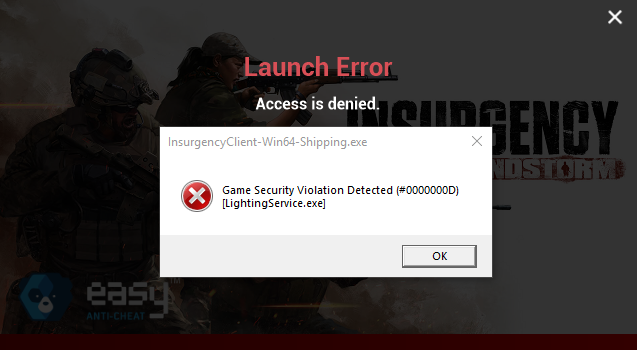 I'd really like to play this game, however upon launch I receive this error. I assumed it was from ASUS Aura, gosh what a terrible hacking software that must be, since it was related to lighting and such. I removed that, however I saw no difference in launching the game. I'm not quite 100% sure where lightingservices is, however I know that this seems to be something standard for others players as well, for I know I'm not the only one experiencing this unresolved issue. Restarted both router and computer.